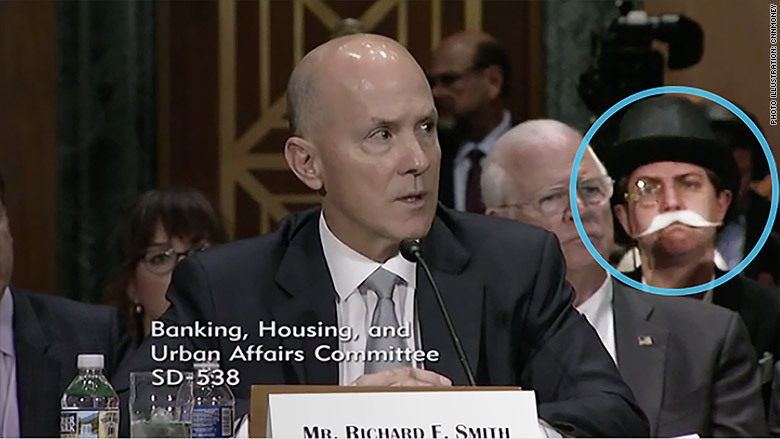 Wearing a top hat, monocle, and white mustache, the character sat directly behind former Equifax (EFX) CEO Richard Smith as he testified before the committee on Wednesday. The ruse was organized by progressive nonprofits Public Citizen and Americans for Financial Reform. The organizations want to raise awareness of Equifax's forced arbitration clauses in their terms of service. "I am dressed as the Monopoly Man to call attention to Equifax and Wells Fargo's use of forced arbitration as a get-out-of-jail-free card for massive misconduct," Werner said in a Twitter message to CNN Tech. "They use these ripoff clauses buried in the fine print to ensure that consumers can't join together to hold them accountable in court." Werner's character attracted a lot of attention on Twitter, due in part to the selected seat right behind the former Equifax executive. 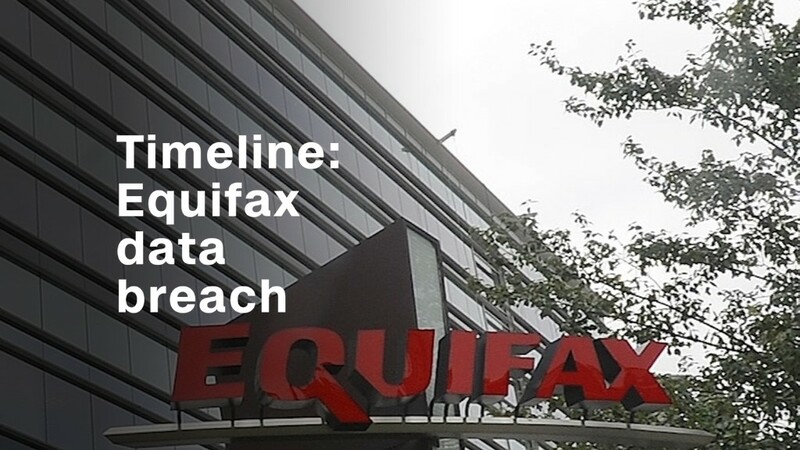 Last month, Equifax announced a huge data breach affecting over 145 million people. Hackers stole names, dates of birth, addresses, social security cards, and some credit card numbers through a hole in Equifax's software left open for months after the vulnerability was disclosed. Senator Sherrod Brown, a Democrat from Ohio, grilled Smith over forced arbitration in the fine print of the company's products on Wednesday. "I can't understand why you think for those 145 million in that case that forced arbitration is unfair, but in other uses in your company you think it's fair," he said.